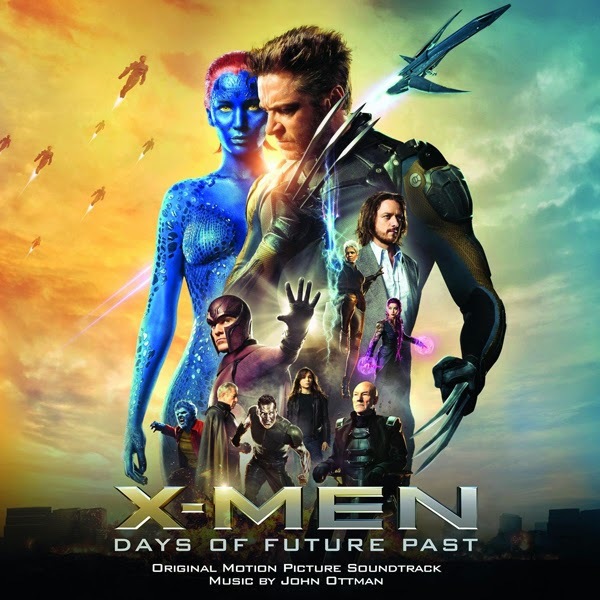 Sony Music announces the release of the Original Motion Picture Soundtrack of X-Men: Days of Future Past, featuring music composed by BAFTA Award winner John Ottman. The soundtrack will be available digitally on May 19 and on CD June 3. The composer is no stranger to this epic movie series and to the superhero genre. As both composer and editor, Ottman is the musical right-hand man of Bryan Singer, with whom he collaborated on The Usual Suspects, Jack the Giant Slayer and Valkyrie, and for whom he wrote the soundtrack of X2, the second in the X-Men series. John Ottman graduated from the School of Cinematic Arts at the University of Southern California. One of his early assignments was to provide original music for the computer game I Have No Mouth, and I Must Scream. In 1996 he won a BAFTA award for editing The Usual Suspects, and was later nominated for an Emmy Award for his score to the ABC series Fantasy Island. Ottman has written the music for such iconic films as Superman Returns, Fantastic Four and its sequel, and Valkyrie. His range of composition takes in the dark comedy of The Cable Guy, the nightmares of Gothika and Orphan, the animated notes of Astro Boy and Non-Stop. X-Men Days of Future Past: The ultimate X-Men ensemble fights a war for the survival of the species across two time periods in X-Men: Days of Future Past. The beloved characters from the original X-Men film trilogy join forces with their younger selves from the past, X-Men: First Class, in order to change a major historical event and fight in an epic battle that could save our future. The film stars Hugh Jackman, James McAvoy, Michael Fassbender, Jennifer Lawrence, Halle Berry, Anna Paquin, Ellen Page, Peter Dinklage, and Patrick Stewart and Ian McKellen. Also starring are Evan Peters and Omar Sy. The film opens nationwide on May 23. Just Announced! It must be me, I really get excited about film like this... where it's coming out soon and then see it... followed by wanting the score. Well as miracles have it I have the score first and I will follow up seeing the film. It's a great return for John Ottman back to the series of X-men films as he scored the second film... following along with the director to score Superman Returns as they both left. Now both back to helm the "Days of Future Past"... fingers crossed. The score is awesome as you can imagine, now just need to hear it pieced into the film. Good post Jeremy. Now I will think of you when I hear the soundtrack.